The World Cup starts today, the festival season is getting into full swing and the year-old congealed burger fat has been cleaned off the SampleRadar barbecue. All of which can mean only one thing: summer is here. To celebrate, our latest collection of royalty-free sounds has a smooth, relaxed, summery R&B feel, with an '80s vibe being evident in some of the samples. Roll the top down and give them a spin - or just listen to them while you're sheltering from the rain in your darkened studio. 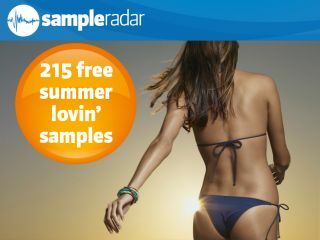 The Summer lovin' samples are supplied in a zip file, so you'll need to extract them before you can see them. Enjoy!